or: How seeing illness as a messenger, can give you hidden clues to healing mind body and soul. Nobody wants to get sick. We are fortunate to live in a culture and age where modern medicine can treat, if not cure, many illnesses. We have interventions for repairing damaged bones and organs, correcting biochemical imbalances and relieving pain. We owe our lives to the miraculous advances of medical science and alternative therapies. But in the search for the eradication of pain and illness, we tend to see illness as an enemy to be fought and defeated. Many ancient healing cultures once embraced a different outlook. They approached dis-eases of body or mind not as enemies, but as valuable messengers, symbols of imbalances at all levels of life: body, mind and soul. 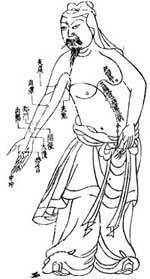 Medical practitioners of ancient times were guides helping their patients listen to their dis-ease and heed its message. 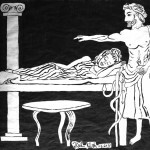 In ancient healing temples of Asclepius (named for the Greek God of healing), anyone in need of healing was led to a chamber and allowed to sleep, to dream, and receive symbolic visions from their unconscious. Patients in Shamanic cultures, even today, are led on spiritual journeys to receive communications from the higher parts of themselves for their physical, emotional and spiritual healing. Modern science is now demonstrating that the body and mind affect each other in every moment. We know that emotional states like stress, grief, and chronic anger cause biochemical changes in the body that can lead to illness. But there may be more to the body-mind connection than chemistry. 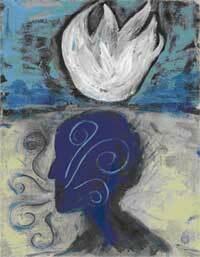 CG Jung, the father of Jungian Psychoanalysis described the body as an expression the psyche. As an integrative Nurse Practitioner I’ve found that encouraging people to ask “How does what’s going on in my body reflect what’s going on in my life?” opens possibilities for healing the root cause of illness. Here’s an example. In my integrative therapy practice I worked with a woman who suffered from Chronic Fatigue Syndrome and had tried countless treatments, conventional and alternative, to get rid of the debilitating fatigue robbing her of her life. Some treatments helped but nothing cured her. In our work together, she stopped fighting the fatigue and began to listen to it. When she asked herself, “What am I tired of?” the answers appeared in her awareness: “I’m tired of trying to be someone I’m not for other people. I’m exhausted from taking care of everyone else but myself.” She never would have discovered these insights had she stayed so busy fighting the fatigue. As she began to listen to her illness as a metaphor for the underlying imbalances in her “bodymind,” she was able to address the critical root causes of her stress and depletion. It is most useful to begin this work with a guide. Body-centered therapies like Bioenergetics, Hakomi, art and dance therapy, and many energy healing and integrative bodywork modalities will explore physical and emotional issues from a body-mind-soul perspective. Take a quiet moment to relax and allow the physical sensations and emotional experiences to be there. Be curious about their presence. Notice any images, words or moods that arise. Hold these questions softly: What is this symptom saying? What is its purpose? What is it here to do for me? What does it need from me? Do some writing or drawing or some form of art to allow these symbolic messages to come through. They may not be clear at first, but over time the answers may be astounding! 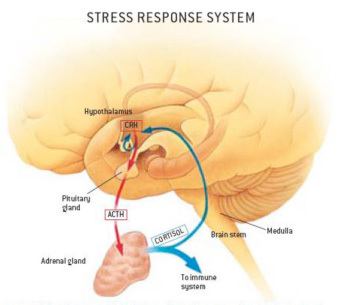 Most of us are familiar with “The Stress Response”. This is the automatic biological reaction that occurs when we perceive a threat to our safety. The perception of danger stimulates a neurological response in the brain which in turn stimulates the release of hormones that travel to other organs in the body to help us respond to the danger. The most important player in the stress response is the hormone cortisol. Released by the adrenal glands, this powerful hormone causes dramatic changes in many organs and systems of the body. Cortisol; also called “The Stress Hormone” increases heart rate and blood pressure, stimulates stomach acid while decreasing overall digestive abilities and causes the skeletal muscles to tighten. These are only some of the direct effects of cortisol. Indirectly, the stress response promotes systemic inflammation and interferes dramatically with immune function. The stress response is an essential way that the mind (our organ of perception) and the body interact. Without it we could not survive; we wouldn’t become alert upon hearing a loud sound in the night, run out of the way of a speeding car (or bear!) or avoid dark allys! Our stress response is a primitive and critical mechanism that works whether or not we are aware of a threat. How many times has your hand flown out, without you thinking, to grab a railing or a wall when you stumble? Have you sat bolt upright out of a deep sleep with your heart pounding, your eyes wide, breath fast, skin tingling and muscles tightened wondering what the loud noise was that you were not quite sure you heard? Is that a Bear or My Boss? While our neurochemical stress response is critical and effective in helping us survive danger, it can also get us into a lot of trouble! The reason is that our miraculously brilliant nervous systems don’t know how to distinguish between different kinds of danger or “stress”! We have the same physiological stress response for external dangers like grizzly bears and speeding cars, as we do for non physical “dangers” like public speaking and fear of rejection. In other words; our bodies undergo the same physiological changes when we sit with our boss for our performance review, as we do when we are attacked by a bear. And unlike bears, which (if they don’t actually eat you) will eventually go away, our modern social anxieties, like job performance and personal acceptance, tend to be much more chronic. Just as our nervous systems don’t know the difference between a bear and a boss, eg; between a physical and an emotional threat; they also can’t tell the difference between the past and the present! We will often respond automatically in the present to situations that were dangerous to us either physically or emotionally, in the past. This is called conditioning. This is where trauma reactions come into play. When someone who has PTSD from military duty, for example, hears the loud bang of a car backfiring, their body goes into a reaction as though they were under fire from enemy artillery. Their nervous system, way before the person is aware, interprets the present stimulus based on the past. This can happen on the emotional and deep psychological level as well. Social anxiety in the present may stem from rejection (actual or assumed) from people in one’s past. And no matter how much we might understand this intellectually, in order to overcome these stress reactions, we need to help our nervous systems learn to read the present situation for what it is, and not be caught in the past, held hostage by our early learning. If You Believe You Can or You Believe You Can’t – You’re Right! Finally, the third way these brilliant nervous systems of ours get confused is that they don’t always know the difference between an actual threat and an imagined one! We all know the anxiety that arises within us when we don’t believe we can do something that we actually can do. Our beliefs are tremendously powerful, particularly our negative ones! If we imagine that we will fail or are inadequate, our nervous systems react to that belief with the stress response! Failure is an emotional threat! And to make matters worse, our unconscious stress response will be activated by the negative beliefs we hold that we’re not even aware of! So you can see that there are countless threats; real and imagined, past and present, emotional, physical and even existential that our systems are trying to survive all the time! And every one of them initiates the neurochemical Stress Response. Ouch! I heard the phrase recently that aptly describes our common physiological state in this modern culture; we are literally marinating in cortisol! It’s a miracle our immune systems are not completely pickled! And maybe they actually are. So what can we do about this? Well we have a number of powerful and clinically proven methods for managing stress. Meditation, biofeedback, yoga, exercise (to name only a few) are essential practices to counteract the chronic activation of the stress response. These practices have been proven to change our neurochemistry and induce the Relaxation Response, the biological opposite of the Stress Response. And every where you turn in the health literature on the newsstands, you can find an article encouraging you to adopt a balanced lifestyle that avoids the external stresses of overwork and under-rest. There is another powerful way to combat stress. That is to become aware of those un-conscious beliefs, memories and perceptions that cause your system to go on alert. When you become aware of your emotions; fear of rejection, anger or resentment, you can make a conscious effort to let your body off the hook of defending you. Though you may not know how to resolve the emotional experience in the moment, you can deepen your breath, relax your tense muscles and do an exercise to get more grounded and centered. See my article on “Getting back to cool” for an effective exercise that can help you reverse the effects of stress. It is critical to our health that we identify the chronic beliefs about ourselves and the world, and catch our automatic perceptions of imagined dangers. Without this awareness we can end up walking around in chronic patterns of stress and in perpetual cortisol overload. We can practice powerful techniques to release stress but if we can prevent the internal triggers that create it, then we can actually prevent it and live in a state of more emotional and physical freedom and health. …energy is involved in all the processes of life-in moving, feeling and thinking-and …these processes would come to a stop if the supply of energy to the organism were seriously interrupted. We are not accustomed to thinking of personality in terms of energy, yet the two cannot bedissociated. 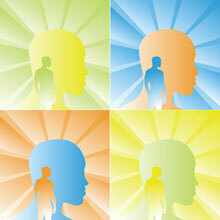 How much energy an individual has and how he uses it must determine and be reflected in his personality. Some people have more energy than others; some are more contained. Animpulsive person for example, cannot contain any increase in his level of excitement or energy; he must discharge the increased excitation as rapidly as possible. A compulsive person uses his energy differently; he too must discharge his excitement but he does so in rigidly structured pattern ofmovement and behavior. People who experience a lot of anxiety, nervousness or insecurity, will tend to have high level of energy that keeps them vibrating, or jittery, ungrounded and unable to rest or be still. Folks who tend to feel depressed, or unworthy, may feel a depletion of energy, a heaviness or collapsed feeling. Essentially, a person’s personality or character is reflected in the way they manage their energy, emotionally and physically! All of these (and many other) patterns of energy are unconscious adaptations or strategies that help us get along in life. They are established very early in our lives as ingenious responses to ourenvironments. They are there to help. determine an internal set of conclusions about who we are, what life is and what it takes to survive physically and emotionally. All of us, to some degree or another, experience emotional threats. For many of us it is simply that our good parents weren’t always able to respond exactly the way we needed them to, exactly when we needed them to assure us we were loved. Others of us experienced outright trauma in the form of overwhelm or neglect. Our strategy may be to be silent, or to put other people’s opinions and needs above our own and make ourselves smaller than others. Our unconscious bodymind might “decide” that the best way to be safe and get along is to disappear, or disconnect from our bodies and stay in our head, or even dissociate. Or our strategy may be too get bigger than everyone else and be in charge, control and overpower others (overtly or covertly). 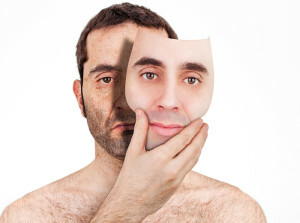 We may (unconsciously) decide that we need to be perfect, put on a mask and not let anyone see who we really are. When we’re little, we don’t have the cognitive ability to decide upon these strategies consciously. All we can do is react on a very primitive, unconscious level. We don’t have cognition yet, but we do have our bodies’ and our nervous systems’ ability to regulate our energy and our expression. stop their flow is to hold the breath. We don’t literally hold it or we would be dead! Over years though we develop patterns of shallow, restricted breathing that act as a permanent damping down, or repression of our emotional self. 2. Muscular tension: Another powerful tool the unconscious psyche and nervous system have to keep us “safe” is our tissues. If we want to stop the experience of our emotions or our self expression we can tighten the body. If we don’t want to speak a truth, our throat, jaw and face may get tight and stay that way. If we “learned” that we had to fight or struggle to survive, we might develop chronic tension in the back, neck, shoulders. It’s uncanny that these patterns of tightening can actually produce visible postures that show what we are experiencing! The muscles will tighten, but so will our fascia or connective tissue which is the matrix that holds all our body parts together. So when this muscular and fascial (myofascial) tightening happens, we not only restrict the flow of emotions but we literally restrict the energy flow through our organs. You can imagine that this is not good for our health! The opposite can also happen. Those of us who feel depleted emotionally, perhaps not nurtured enough as children, or battered by the struggles of life may actually collapse energetically and have less “tone” and strength on all levels. 3. Our connection to ourselves, to our center and the ground: The “fight or flight” response is aptly named as our nervous systems’ reaction to stress. If we can’t overpower the threat then we can always flee! It’s easy to imagine this scenario in a physically threatening external circumstance. But it can also happen on more subtle energetic levels within our bodymind. In extreme cases we call this dissociation. But there are more subtle forms of fleeing, or disconnecting from our internal experience, and ourselves that many of us do on a regular basis, or even as a permanent strategy. In some cases it looks like being ungrounded, spacey, flighty or “not of this world” Some folks literally don’t feel much sensation in their bodies an prefer to daydream or get lost in artistic expression or in spiritual realms than to be grounded, present and connected to the world and other people. By trying energetically to not “be” in their body, there can be a depletion or weakness of energy in the body constitutionally and in the tissues. Sometimes folks who have developed this strategy even have the appearance of “wispiness” or transparency. These “bodymind postures” as I call them, or “character structures” as Lowen and others including Barbara Brennan call them, are all very resourceful and clever strategies by the unconscious nervous system and psyche and they begin developing very early in life. They are not something we’ve done wrong. They are simply early primitive strategies that formed when that was all we could do! Many of us “use” these different strategies at different times, while some of us hold to one or two particular patterns over the course of our lives. So why learn about all this? Because when we can become aware of the ways that our bodies unconsciously have adapted and molded to help us navigate our lives, then we can make new conscious choices. With awareness and choice we can free our bodies from their armoring, or depletion and heal the wounds and “conclusions” that underlie them and perpetuate our emotional and physical suffering in the present! This is what I help people to do in my practice. My working definition of health is freedom of movement of life energy on all levels. So by addressing our bodies we can identify and free up the movement and flow of our emotional, psychological, mental and spiritual as well as our physical energy. This is healing. In next month’s newsletter I’ll have an article about the third, even less tangible level of the body mind connection: the symbolic. Stay tuned! o Take a quiet moment to relax and allow the physical sensations and emotional experiences to be there. o Be curious about their presence. Notice any images, words or moods that arise. o Hold these questions softly: What is this symptom saying? What is its purpose? What is it here to do for me? What does it need from me? o Do some writing or drawing or some form of art to allow these symbolic messages to come through. Are we in a “new” age of healthcare or back where we started? The Holistic perspective on Health: revolutionary idea or ancient philosophy? We are in a very exciting time in the evolution of Western medicine. Since its birth in the Renaissance era, the field of modern science has taught us about our world and in many ways given us the lives we know today. Medical science and technology have literally saved our lives. They have allowed us to understand in staggering intricacy, the ways our physical bodies work, what makes them break down, and how to fix them. But in the last few decades, in our scientific exploration deeper and deeper into the nuances of the physical world, we have begun to stumble on some revelations that are not, as it turns out, so new! We are beginning to find scientific evidence for what ancient medical systems have known from the beginning……the physical body is not separate form our psychology, the psyche and the soul! This notion is integral to the oldest of medical traditions, from the ancient Ayurvedic system in India, dating back to the second millennium BC, as well as the Chinese medical disciplines, from the 14th century BC. Both These medical traditions, in their different ways, see health as a function of the balance between physical, psychological and spiritual, environmental and universal elements and energies. The ancient Egyptians and Greeks also recognized and incorporated the notion that the psyche and the body were expressions and reflections of each other, and that healing illness in one, required addressing the other. All these cultures recognized that there as a great deal more to health and healing than manipulating the biology of the body. They knew that there was more than our cellular chemistry governing the health of our whole being. 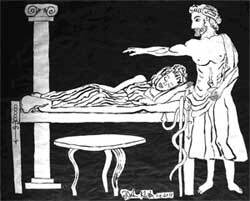 Around 400 BC Hippocrates wrote “The natural healing force within us is the greatest force in getting well”. Practitioners of the ancient Greek healing temples of Asclepius guided the sick to seek messages within their illness through dreaming rituals. Countless tribal cultures throughout the world have for millennia and do to this day, rely on ancient practices of Shamanic healing, which approach dis-ease with great respect as a messenger from the soul to guide the person to the healing needed for their whole being. And then as progress marched along, a drastic change in the way of viewing health, life and the physical world occurred. In the 16th and 17th centuries in western culture there was a philosophical change in direction. A separation began between the worlds of physical matter and of spirit. There was a redirection of science to the purpose of enhancing humankind’s control over nature instead of harmony with it. In the early 1600s, the French philosopher and writer Renee Descartes declared that physical matter and psychology were separate entities, not governed by any common principles. He decreed that the realm of matter belonged to science and the realm of spirit; to the church. And off we went! The next 4 centuries have seen the development of our current western medical model that has focused on the realm of the physical almost exclusively. And it’s a good thing in many respects! Look how far we have come and how invaluable medicine is. There are many instances where I turn to medicine before considering the messages from my soul! I’ve never known a dreaming ritual to set a broken bone or a shamanic journey to rescue someone from a heart attack! Until recently however, Descartes’ decree has had such a strong hold on the minds of western medical practitioners that if one were to mention the mind-body connection they would be looked at as though they had two heads. Indeed the word “psychosomatic” was (and still is) considered a dirty word; or more accurately, a diagnosis of psychopathology! If one’s body was responding to your emotions, there must be something wrong with both! In 1926 Walter Cannon described a process that involved both physiology and biology called “The Stress Response”, also known as “The Fight or Flight Response”. This paved the way for an understanding that what we perceive and experience emotionally can directly affect our physiology via the central nervous system, specifically the primitive centers of the brain, and the endocrine or hormonal system. I’ll talk more about the way this works in my next newsletter. More recently the field of Psychoneuroimmunology (PNI) has developed even more sophisticated understanding of the intricate interactions between our mental processes, our nervous systems and our immune systems and thereby; our whole body. Dr Candace Pert, the author of a number of books on PNI describes that there are chemicals called neuropeptides that are secreted in the nervous system with emotions and thoughts and that these neuropeptides communicate directly with cells throughout the body; implying that our minds and bodies are constantly communicating with and affecting each other. This is a very cursory and incomplete introduction to the notion that our science is just beginning to map out what many of us have intuitively known, and many people in many cultures throughout history have known and lived by for millennia. We are not made up of separate parts! Whether science is ever able to explain the realms of mystery such as the human energy field, or the notion that the soul and unconscious psyche are responded to and represented by the body is yet to be seen. For now, those of us who believe those realms to be “real” must rely upon our intuitions, personal experiences and our beliefs. But wait….if beliefs are essentially unconscious thoughts, and we are now determining that thoughts affect our biology…….then the body-mind split may soon be an archaic belief! That’s what I’m excited about! So how do you apply these ideas to your own health today? I believe that the most important tool we have in our possession for our healing is our awareness. If our bodies and minds are an interconnected web of communicating chemicals and energies then it makes sense that we need to learn to become aware of this communication. I invite you to begin to tune in to how your body is affected by your moods, thought patterns, emotions and attitudes (and vice versa) throughout your day. For most of you, this level of sensitivity has not been developed, but with practice will become acute. When we are aware of our bodymind in any moment, it can be astounding to discover that just the awareness itself, frees us up to move naturally to a more balanced state. There’s that mystery again! It really is true that our mind/body/soul know how to find the balance that is health. Whether through an intense shamanic journey, an Asclepian dream ritual, or a moment at your desk of turning your awareness within to listen to your body and emotions, your bodymind has the wisdom and ability to move toward a healthier state when it is given the chance to do so. The Bodymind Principle™: Understanding how the body-mind connection really works so you can use it to break through stubborn health and emotional challenges, and enhance your ability to heal your life. A series of articles over the next 6 months. The notion that you can enhance your physical health and healing by addressing your mental and emotional wellbeing is pretty well accepted (or at least tolerated!) by our western medical model at this point. Many health centers offer some integrative or complimentary therapies like meditation, reiki, massage, acupuncture and yoga. Even some of the most prestigious medical institutions likeMassGeneralHospitalinBostonhave integrative medicine programs. Conventional practitioners have great options like those I just mentioned, to offer their patients as adjuncts to their medical care. But I think something is still missing! I think we lack a comprehensive model for understanding all the ways that the body and mind interact with each other. Without that model, we can’t address the causes of dis-ease from a body mind perspective. We can treat our symptoms with more holistic therapies, but if we don’t understand what is causing a symptom or illness, then even a holistic treatment is still just treating symptoms! Month 1: Are we in a “new” age of healthcare or back where we started? The Holistic perspective on Health: Revolutionary idea or ancient philosophy? Month 3: The Structural / Postural level of the Body Mind Connection: How your Body Postures the Stories of your life. Month 4: The Symbolic Level of the Body mind Connection: Your illness as the messenger of your soul. Month 5: The Energetic level of the Body-Mind Connection: Your Energy field as a hidden blueprint for your mind and body. Have you ever noticed that you can tell a lot about a person’s mood, attitude, and even personality just by observing their body? Let’s talk first about mood and the body. A depressed person can look like their overall energy, or life force is literally “de-pressed”; pressed down. They may have a sunken or collapsed look to their chest, or whole body. Their arms may appear weak or hanging, reflecting a sense of powerlessness, or ineffectiveness in life. Their breath is often shallow. They are more still, less animated than those around them. At one time or another, most of us have been depressed, or even just episodically sad, so most of us know what it feels like to be in this body, to be stuck in this “posture”. Likewise, it can be easy to identify someone who is angry, by their red face, clenched jaw, tense shoulders, intense eyes. You can almost feel the sparks flying out of them! Their energetic charge seems increased. When someone is afraid, their energy, or overall countenance looks suspended, coiled, ready to flee. They can look like all their energy is raised up in the upper half of their body, light on their feet; not grounded and stable. Often you can even feel the jitters in your own body, just being near them. Our bodies not only reflect our emotional experiences, our bodies participate along with our emotions in our integrated responses to life. I like to think of it as our bodies “posture” or sculpt our emotions. One reason it’s powerful to make this connection is that shifting the body, literally changing your posture, has the reverse effect of shifting your mood, emotional state, attitude and outlook; even the way you perceive your circumstances. Wherever you are sitting right now; slouch. Let your shoulders roll forward, and your chest collapse. Let all the muscles in your face go slack and breathe shallowly. Hold this “posture” for a few moments and notice what happens to your mood. OK, OK now that’s enough of that! Sit up straight, open your chest, let your shoulders drop back, raise your chin, bring some brightness into your face by raising your eyebrows a bit, lift the corners of your mouth. Now notice your mood. Isn’t interesting that simply adopting the facial and physical expression of happiness has a positive effect on your mood? How about your overall energy level? How does your life or your day look different from this posture vs. the collapsed one? Now the reason for knowing all this isn’t just so you can try to be in a positive mood all the time! Most of us are unconscious about how our bodies are participating in and expressing our mood and emotions. When we are not aware, our bodies and moods can become stuck in patterns that negatively affect our health and happiness. When you become aware of this connection you not only can address the underlying cause of your state, but you also can make choices about how you want to respond to your life. Our bodies not only adopt postures that reflect our moods and emotions in the moment, but over the course of our lives they develop habitual patterns, or “conditioned tendencies” that reflect our overall attitude, personality and approach to life. The way you hold your body (or the way it holds you), and how you manage your emotional energy and express yourself are all learned (unconsciously) early in life in response to your environment! When we are children, particularly in our earliest years, our unconscious developmental task is to determine “the rules” about who we are, what life is and what it takes to survive it. All of us, to some degree or another, experience emotional threats, whether it is simply that our good parents weren’t always able to respond exactly the way we needed them, exactly when we needed them to to assure us we were loved, to outright trauma in the form of overwhelm or neglect. Most of us don’t get the impression that who we are is perfect and good and that we will be loved EXACTLY as we are, no matter what that is in every moment. In our culture, we learn that we need to be a certain way to be loved and accepted, and maybe even safe. Even if our home environment was nothing but nurturing, when we hit the bigger world and school with all their social pressures and expectations, we have to adopt some strategies to feel ok about ourselves and in relationship. So unconsciously we adopt what I call a “Bodymind Posture” to help us navigate life. Block: To stop the flow of the charge of emotions though our bodies and conscious awareness, we will unconsciously tighten muscles and constrict our connective tissue and even organs like the lungs to diminish breath. The two best ways to decrease the movement of painful emotional charge is to stop the breath and constrict the body. Chronic tension can lead to pain, diminished function and even exhaustion. Collapse: Or we might collapse our bodies (remember the depressed person we were talking about?) so no charge moves through us, leaving our bodies depleted and less vital. Sometimes we learn that we are safer when we are smaller than others and make their needs more important than our own. Disappear: Another good way to stop feeling our feelings and to try to be less visible to others, or simply escape a painful life situation is to disconnect. We may unconsciously want to decrease our sense of our own body and experience by literally dissipating our energy making the charge of our feelings less solid. In extreme cases this is called dissociation, but many of us employ this strategy in less dramatic ways. 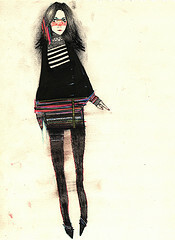 It’s called being spacey, vacant or “airy fairy”. It’s difficult to feel robust and strong and able to create our lives in this state. Overpower: Another way to deal with the charge of painful experiences is to “blow it out” and be controlling, domineering, or even aggressive, clearing a path around us as protection against vulnerability. This kind of energy management requires muscular tension and the generation of force and pressure, not a good state for the cardiovascular system! These four Bodymind Postures by no means represent every possible strategy! They are meant not to reduce everyone into tight little categories! Every one is unique and comes up with their own patterns. This list is meant to serve only as a guide to help you begin to identify your own Bodymind Postures. Most importantly, these patterns do not reflect pathology, nor are they descriptions of anything wrong with us or that we are “doing” to ourselves! They are part of the phenomenon of being human, going though our human lives. They are all tremendously creative and resourceful strategies! The only problem is that they also greatly hamper our ability to live physically, emotionally and spiritually free, open and authentic lives! What allows us to grow and heal is becoming conscious, with great compassion, of the ways that we have all had to adapt to get through life. I urge you to explore these ideas in a mood of curiosity and respect, not self judgment. Once aware, we can literally learn new ways of living emotionally and in these bodies of ours. Once aware of our automatic unconscious patterns, we can learn that we no longer need to protect and defend our selves in ways that compromise our freedom and health. When you become conscious of the underlying expressions and needs hidden within your Bodymind Postures, your body will no longer have to try to help by acting them out. You can learn that it’s safe to live in a body that is open, free, alive and grounded. I encourage you to be a curious observer of your own Bodymind. I will be talking more about these Bodymind Postures in future articles, and offer a more personal guided exploration in my workshops and training programs. Stay tuned for announcements about these in the near future! To be sure you hear about opportunities for further personal learning; join my mailing list if you’re not already subscribed, and follow me on Facebook. Bodymind Health Tip of the Month: Notice the subtle ways your body “postures” your moods and experiences throughout your day. When you feel sad or inadequate; do you collapse, loose energy and get still? 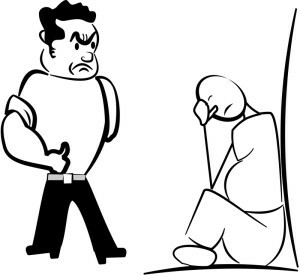 When you are irritated or angry, do raise your shoulders, clench your jaw and hold in the pressure of your emotion? When you feel threatened or intimidated do you: collapse and get smaller than everyone else? Do you freeze and go rigid and try to appear perfect? Do you puff up and act bigger than everyone else so no one messes with you? Then, as you become more and more aware of your body’s emotional postures, see if you can find any patterns, or tendency to live automatically in a particular “Bodymind Posture”. Notice what this posture is doing to help you. Is it a way to feel safer in interactions with others? Does it help you hide? Is it an attempt to prevent people from treating you a certain way? And how does this posture feel in your body? How does your energy change? What feels better, what hurts? Where do you notice more vitality? When do you feel fatigued? What are the subtle (or maybe not so subtle) costs to remaining unconsciously in this Bodymind Posture? Notice your Bodymind Postures with compassion! They are not bad or wrong, nor do they mean you an insecure mess! We ALL do them! It’s part of being human. They are actually resourceful and creative systems, summoned by your unconscious psyche and nervous systems to help you get through. Making them conscious offers you more freedom to actually live in your body and the world with more choice and authenticity. When you are tuned in to your Bodymind Postures, you can make the choice to stop for a moment, release the tension, open the breath and attend consciously to the emotions you may be feeling underneath this automatic reaction. Read more about Bodymind Postures, why we have them and how to work with them. Don’t just “put your mind to it”; Put your whole body into it! How “embodying” your visions can help them come true. It’s a New Year and many of you have made a New Year’s Resolution or two. Or perhaps you have spent some time thinking about your vision for your life in the coming year. Visioning is a practice I do every January and highly recommend. I find it helps me feel grounded and focused on how I want to create my life in the coming year. So, how’re you doing so far? If you’re like me you are starting to hit some inner resistance to staying on track. That cozy bed in the morning is starting to feel much more compelling than getting up in the dark and cold and going to the gym. And now that I’ve recovered from the three week sugar high I maintained over the holidays, my sugar fast is starting to seem much less interesting. One reason we get caught in endless loops of determined resolve, then loss of motivation and discipline, then discouragement and shame is that we make our resolutions, or visions, or goals with our minds and not our bodies and minds together. The trick to getting back your motivation to get out of bed, or put down the potato chip, must come from your whole body, emotions and mind being in touch with the desire and excitement about your goal. You need to be able to feel what you really want in the moment, not just the difficulty of it, and not just the “idea” or even picture of it. Techniques like creative visualization, imagery, and positive affirmations can be powerful tools to help us achieve our goals and dreams. Many people, including professional athletes use visualization to help manifest desired outcomes. Medical research has shown that “mental rehearsal” significantly improves performance in athletes. Research also shows that there is a strong benefit to including the body, or “kinesthetic” sensation in the process of “experiencing” your desired outcome. Have you ever watched a downhill skier in the Olympics, crouched in the holding area before her turn at the gate, bouncing and weaving with closed eyes as she imagines herself running the anticipated slalom course? Her nervous system, muscles, bones and every cell of her body is experiencing the possibility of flying flawlessly through that course. This actually gives her a better chance of doing so! Dr. Candace Pert, in her book Molecules of Emotion, describes the newly discovered phenomenon that every cell in our bodies is affected, through the circulation of chemicals called neuropeptides, by our thoughts and emotions….and images! That means that what we have thought of as the mind doesn’t just live in our brains, it literally lives throughout our bodies. So, if our whole body experiences a possibility, it will be much more powerful than simply seeing an image or an idea of that possibility. When I take the time to feel the sensations of the energized, light, strong body I will have if I stick to my exercise goal, more times than not, I can overcome the sensations of the warm covers I am currently in. I also notice that I actually feel lighter and stronger as I get out of bed! I invite you to give it a try. Feel the possibility with your body. If what you really want is to lose 20 pounds, take a moment to “embody” that possibility. Beyond just imagining yourself 20 pounds thinner, close your eyes and feel what it will feel like to be lighter, freer, to feel comfortable, even proud in your body. How is your posture in this place? Where do you feel lighter? How is your breathing? What do your muscles feel like? How does the air feel on your skin? What is your mood? What is the quality of your movement? Don’t just imagine; feel all the physical and emotional qualities that you are wanting by setting the goal. When you can feel it, gently set your intention to reach this state. Don’t vow, promise or threaten yourself. That creates a struggle. Set your intention in a gentle way while connected to your goal. Intention is actually more powerful than will, which is a state of struggling, fighting and forcing. Then repeat this exercise everyday; return to the physical experience of your desired goal, and re-experience your intention for yourself. Your goal may be less specific. It may include how you want your life to look in general or in a certain domain. This practice will also work for a broader vision. Say you want to have a new career or job. Spend some time clarifying what it will feel like to be in this job. Instead of only saying to yourself, for example, “I have lots of time to be creative and colleagues who are fun and supportive”…imagine with your body the feeling of walking down the hall to your office, excited about working on your project, exchanging laughs with your co-workers. Feel the physical sensations that arise; perhaps there is a flutter of excitement in your chest, or relaxation in your back and jaw as you feel the warmth in your relationships. Repeat this practice as often as you can; at least once a day. Then when the resistance shows up, (which it will, I assure you! ), slow down and don’t judge or harass yourself. Stay present, and bring your attention gently to the embodied feeling of your goal. From this state you can choose what you want to do relative to your goal. Feeling the commitment and possibility of what you want in the present moment, will make it easier to choose the behaviors that will get you there. Alison’s touch is powered by an energy force that she quietly summons to her aid, for my benefit. In turn, she calls me to my own healing, inviting my full Self to heal and my own spirit to lead my body towards continuing that healing process. I cannot recommend Alison more highly. She is a vessel for healing and light, and I am deeply grateful for her presence on my journey.